The popular endless runner LEGO® Friends game has added some new content based on The LEGO Movie 2. Heartlake Rush puts you in the driver’s seat of a series of LEGO karts, as you speed along the streets and race tracks of Heartlake City. For a limited time only, you’ll also be able to visit the Systar System and take control of Sweet Mayhem’s Starship, The Tantrum. Collect stars in Old Town and the Kart Track to earn lives for The LEGO Movie 2 Minigame. 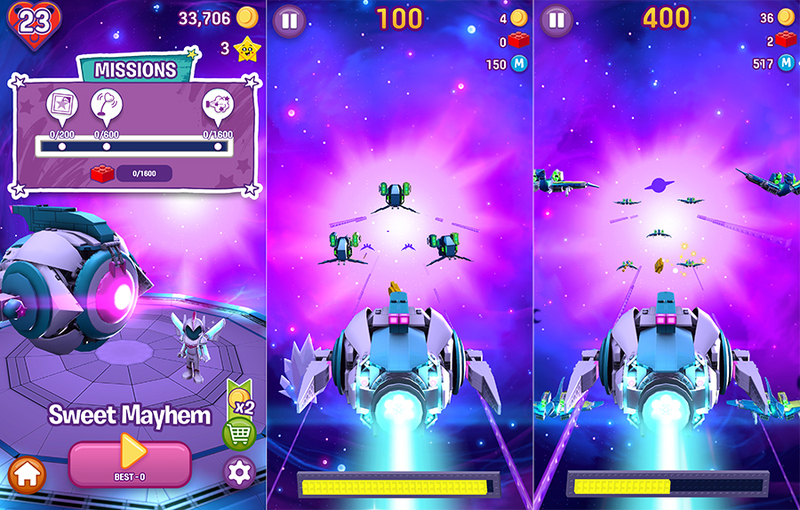 You can only access the Systar System track with these star tokens. Then fly through the Systar System and collect red LEGO bricks while dodging Rex Dangervest’s fleet of flying raptors. You can then use those LEGO bricks to earn special The LEGO Movie 2 decals, trails, and toppers. 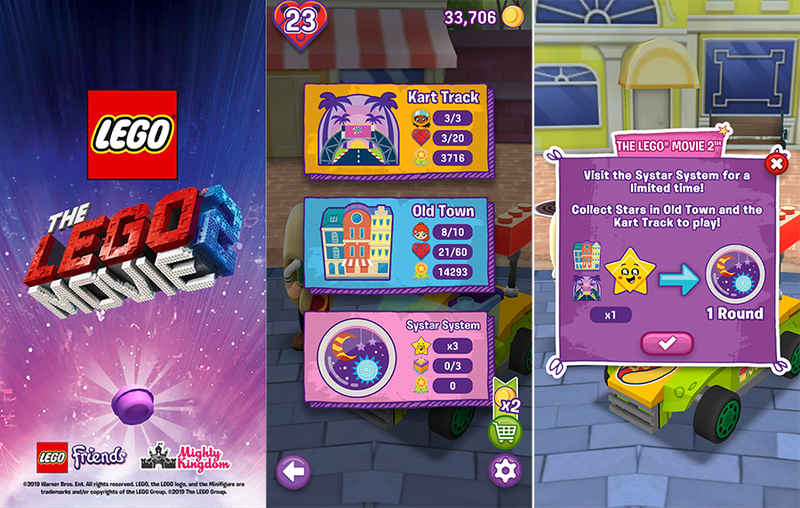 LEGO Friends Heartlake Rush is available to download for free from Google Play and the App Store. Update the app to latest version to access this new content.